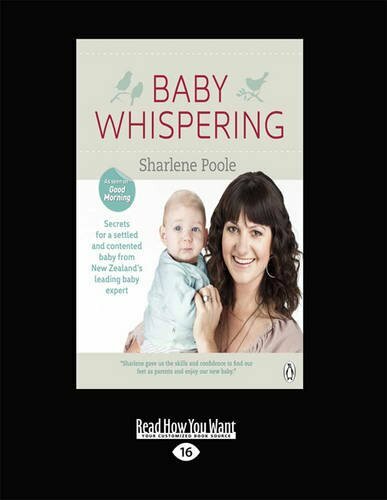 This is the practical handbook that every mother needs when preparing for a new baby. Broken down into easy - to - follow timeframes from preparing for arrival and birth right through to 12 months, you'll quickly find answers to everything you need to know. Find out all about: - your baby's basic needs and development - common problems and solutions - techniques for breast feeding AND bottle feeding (expressed milk and formula) - crying and settling, plus dealing with colic - Sharlene's technique to bring up wind - sleeping patterns and suggested routines - developmental playFor years, Sharlene has been helping new parents. Now Baby Whispering will give you the same skills, confidence and information which you can personalise to suit you and your baby.